Choral Directors are the gatekeepers for many young careers. As they probably already know, the musical aspirations of many members of your chorus fall outside of the realm of classically-based music, including musical theater or other forms of popular music. The aesthetic needed for these genres can often be in opposition to the aesthetic of what the choir needs. Must these needs be exclusive or can they coexist? I firmly believe they can exist harmoniously, and to that point, let us examine some of the technical aspects of singing in popular music for both boys and girls. One exercise that starts creating the type of coordination needed for both traditional and modern choral styles is known as the pharyngeal voice, which dates back to the Bel Canto period, where it was called, “Voce Firingea.” For those who are unfamiliar with it, the pharyngeal voice can initially seem foreign and strange. However, it can serve as the missing link between pop and classical-oriented vocal studies. 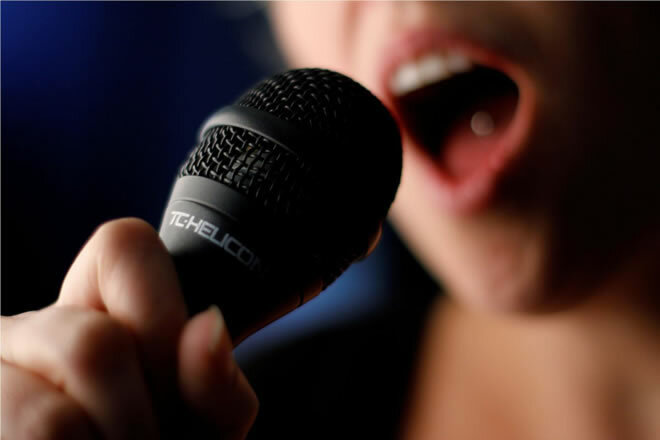 When taking on a role in the school’s musical theater production or a solo in a more pop-oriented song, many younger female singers struggle with the ability to successfully connect out of chest voice. There is either not enough chest voice involved (lack of thyroarytenoid involvement), which makes it sound too heady for the style, or the overuse of chest voice, with too much air pressure (subglottal pressure) building up under the vocal cords, which leads to strain, pitch problems, and usually an uncoordinated flip into a falsetto-based head voice at c#5. It is the second manner of use that also creates vocal health issues for younger females that like to belt but in a potentially hazardous manner. What is the solution to this? The female singer needs to learn to mix the voice (at around B♭4) and then create a coordinated connection into head voice at around e5. When this happens the quality of the mix is much more chest dominated than in classical singing, and the head voice seamlessly blends with the chest voice. If this sounds a bit familiar, it is. You are really getting the female voice to coordinate more like a male’s. Male voices connect from chest to head without a break, if the middle or mixed voice is mastered. Females are capable of doing the same thing. In part two we’ll be discussing the pharyngeal voice for the male voice. If you have any questions, please use the form to the right to contact me.